An amount of Rs 200 crore has been recently allocated under PM’s Swasthya Suraksha Yojana for infrastructure development of the hospital. 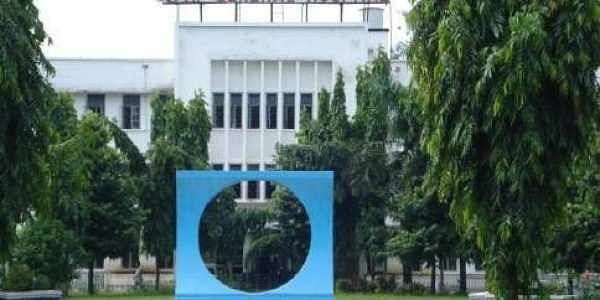 ROURKELA: Work on the upgradation of the RSP-run Ispat General Hospital (IGH) of SAIL into Super Speciality Hospital & Medical College (SSHMC) has finally started with the Prime Minister’s Office (PMO) monitoring the project. IGH, a well-equipped 685 bedded multidisciplinary hospital, is accredited by National Board of Examinations (NBE), New Delhi, for imparting Post Graduate DNB training in several disciplines and also runs a Nurses Training Institute (NTI). However, it has now been reduced to a referral hospital due to deteriorating medical services. Rourkela BJP legislator and former Union Minister Dilip Ray said a high-level team of experts and architects had visited the hospital and submitted their report to SAIL and the Ministry of Steel outlining the requirement of infrastructure and medical equipment. AIIMS, Bhubaneswar has been assigned the responsibility of introducing super-specialty services and developing the curriculum for the post graduate courses, Ray added. Earlier this month, a team of consultant firm HITES (HLL Infra Tech Services Ltd) had inspected existing infrastructure of few departments of IGH. The team examined possibility of introducing super special treatment facilities along with post-graduate learning at departments of neurology, pulmonary medicines and burn care. The visit of HITES team came in the backdrop of the visit of a team of senior medical experts of the Union Government in June following direction of the PMO. Union Tribal Affairs Minister Jual Oram, who is instrumental in expediting the pending project, said Principal Secretary to the PMO is monitoring it and expressed satisfaction at the present pace of progress. He said after being developed into SSHMC, the IGH would ensure advanced healthcare to people of Rourkela, Sundargarh district and beyond. SAIL and the Employees’ State Insurance Corporation (ESIC) would run the medical college jointly. The PM had announced the project in April 2015. Under fire for no progress, SAIL in August last year had opened a super speciality clinic in disciplines of cardiology, oncology, neurology and nephrology to run on monthly scheduled dates with assistance of Apollo Hospitals, Hyderabad. ● Super speciality treatment services would be introduced in four departments and later three more departments would be covered. ● SAIL and the Employees’ State Insurance Corporation (ESIC) would run the medical college jointly. ● Former Congress MLA Pravat Mohapatra welcomed the development, but added that there is no cheer for poor patients as treatment is free for RSP employees while the others are charged at par with private hospitals.